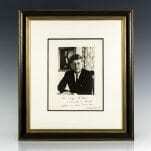 John F. Kennedy Signed Photograph. 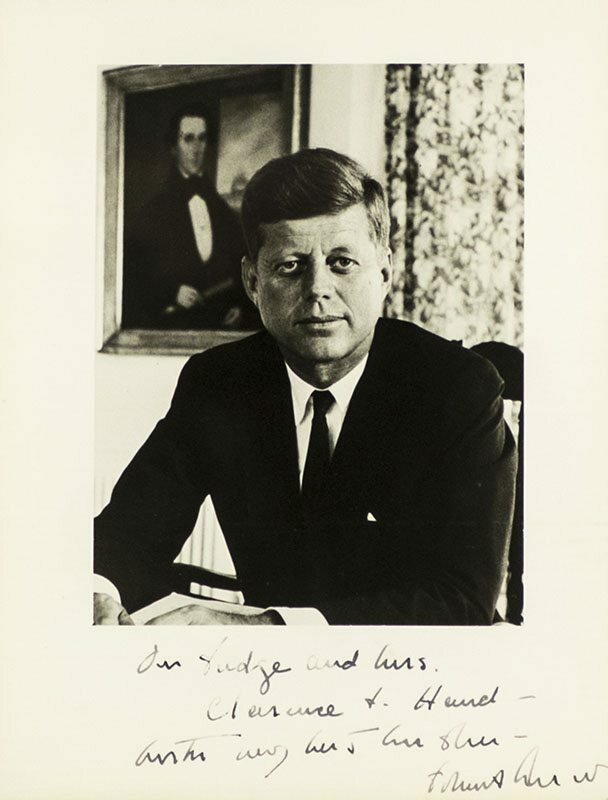 John F. Kennedy signed silver gelatin photograph, taken by Alfred Eisenstadt at his office desk in 1960. 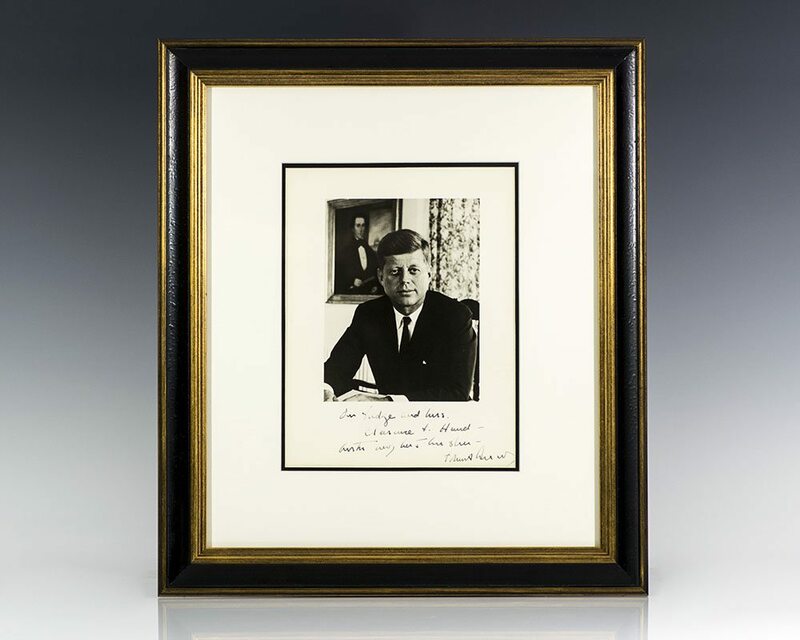 Boldly inscribed, “For Judge and Mrs. Clarence T. Hand–With best wishes John F. Kennedy.” The photograph is laid down to the mount. Eisenstadt took this portrait of JFK in August of 1960, just a few weeks after Kennedy clinched the Democratic nomination for President. In near fine condition. The photograph measures 8 inches by 10 inches. Framed. John Fitzgerald Kennedy served as the 35th President of the United States from January 1961 until his assassination in November 1963. Kennedy served at the height of the Cold War, and much of his presidency focused on managing relations with the Soviet Union. 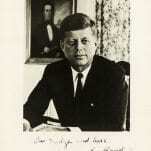 A member of the Democratic Party, Kennedy represented the state of Massachusetts in the United States House of Representatives and the United States Senate prior to becoming president.